Strategy | KJ Energy, LLC. Our deep industry relationships with E&P operators and financial institutions enable us to source and force creative, new commercial opportunities. 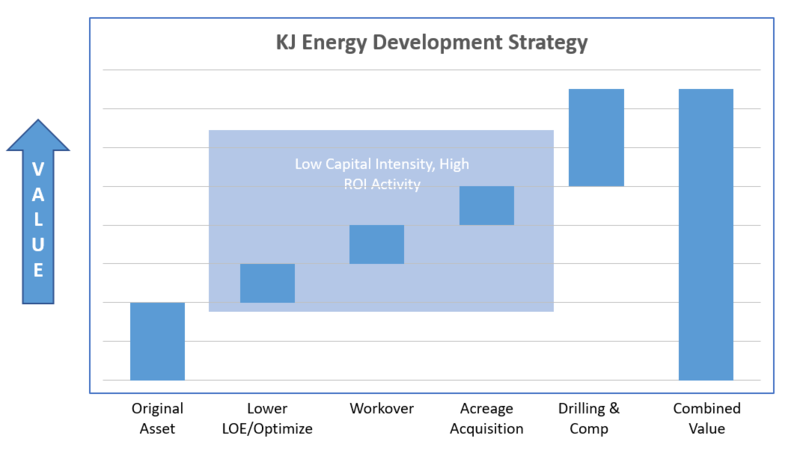 KJ Energy implements a unique and adaptive Acquire & Exploit methodology to create and leverage asset value. Strategic infill drilling with proven well control and step out drilling of highly accretive, high-margin liquids-rich gas wells. 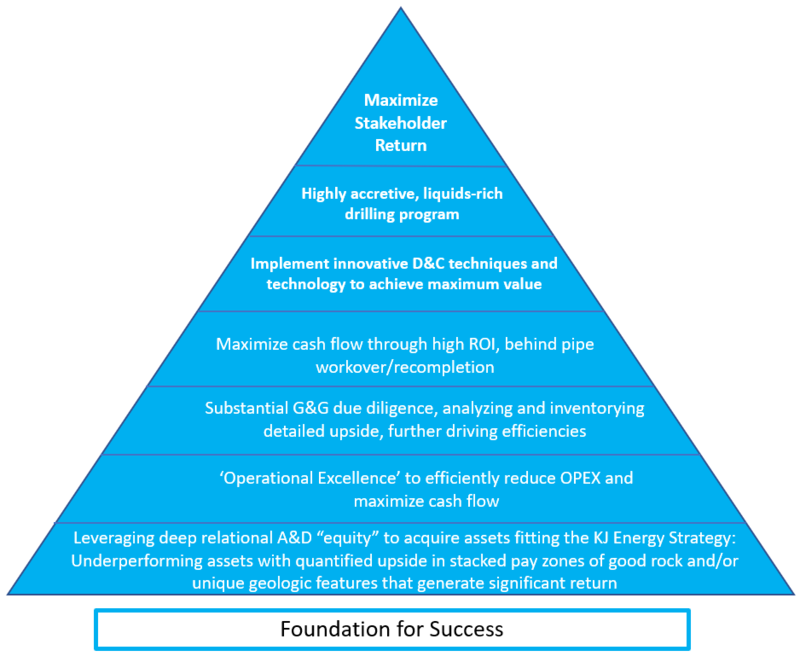 Identified Overlooked PDNP and PUD, Targeting High ROI Behind Pipe Opportunities & Reserves. 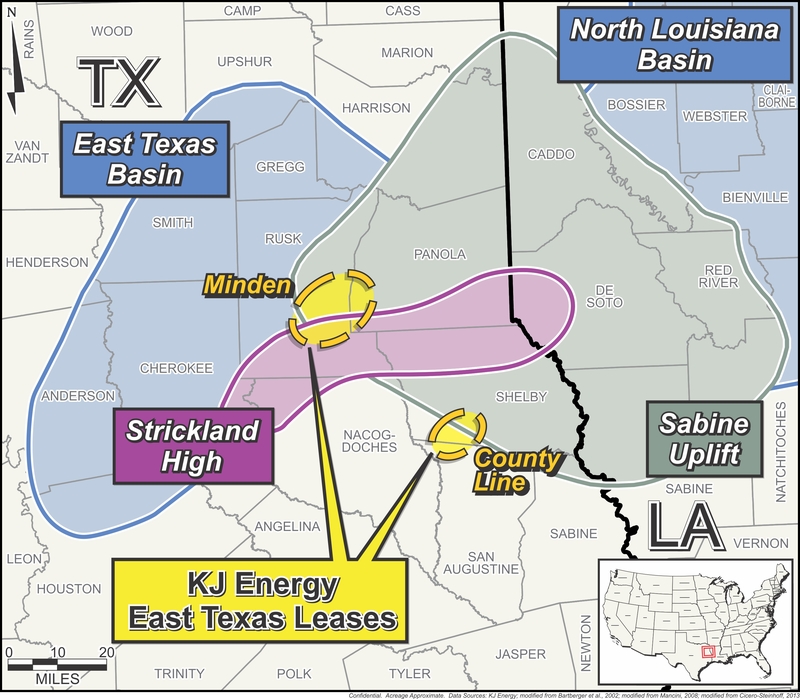 Conducted substantial G&G Work, Including MBS and Haynesville Coring/Logging. Assembled one of ETX’ most contiguous, liquids-rich footprints.